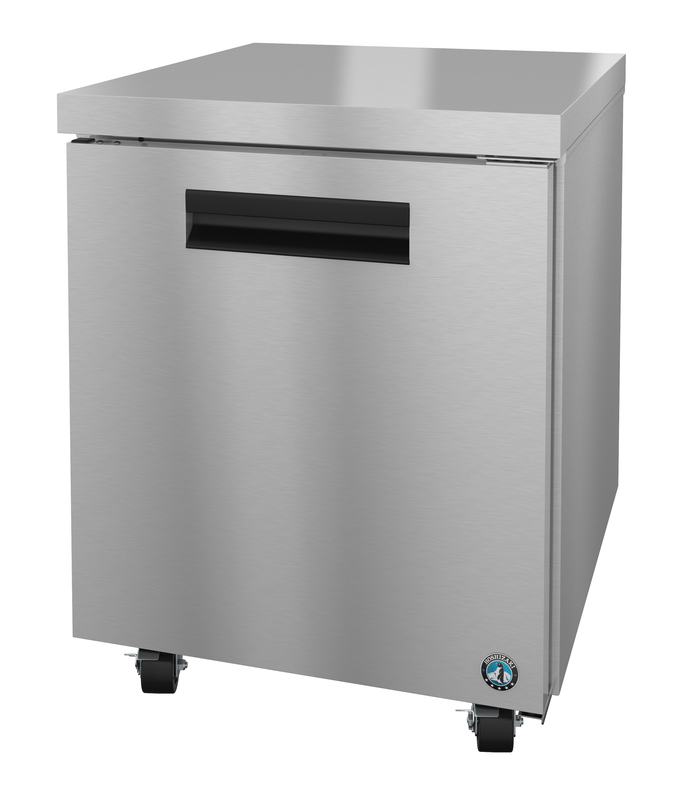 The CRMR27 Commercial Series Undercounter Single Section Refrigerator with a Stainless Door is an attractive addition in any kitchen. 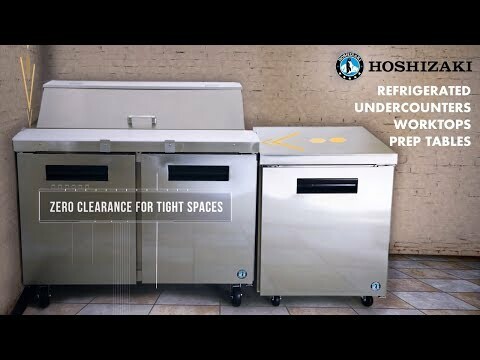 With a Net capacity of 6.22 cubic feet this front breathing Undercounter Refrigerator is perfect for tight spaces. The CRMR27 is constructed of stainless steel, which protects this unit from accidental damage and rust. Plus, it is easy to clean. The CRMR27 Includes 1 epoxy coated shelf, and comes Standard with (4) 4″ Stem Casters (2 with brakes), it features Spring assisted self closing door, with stay open feature (field reversible without kit). Optional kits: 6″ casters or legs, stainless steel back panel. The unit is ETL Sanitation Listed, ETL Safety (US & C) Listed, ENERGY STAR® Qualified and includes a Five Years compressor warranty / Three Years parts and labor warranty.